This category has special plant seeds with all kinds of unique characteristics. 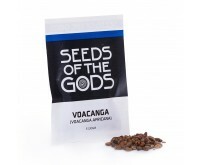 From the psychoactive Peyote and San Pedro cactus seeds to intense Morning Glory seeds and tobacco plant seeds. Of course each of these plants is unique on its own. Even mescaline cacti like Peyote, San Pedro and Peruvian Torch do have fine subtleties in the effect on the psyche. 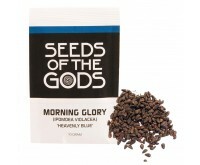 Take an inner journey with the LSA-rich Morning Glory and experience a natural, LSD-like trip. 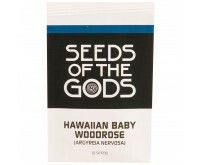 The Hawaiian Baby Woodrose also contains LSA, and of course tryptamine for a wonderful, mellow trip. Ephedra is unique. By eating the branches you get an energy boost and your appetite is reduced. Therefore it is often used to make tea from as a natural slimming agent. Special seeds from all corners of the world. 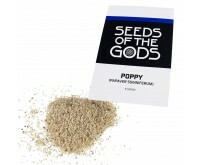 Seeds of the Gods is a seed collection suitable for direct consumption, while others are designed to grow in your own psychedelic garden. 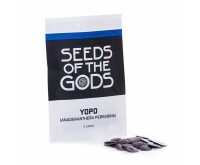 You will find a wide collection of god seeds in the special seed section of Dutch-Headshop.